Both Isadora and Compton should not be in at LG. That makes sense. I'd just like to see this team be able to RUN FOR A FIRST DOWN when we have a chance to close out a game. Is elflein supposed to be back soon? I just wonder now that the season has started if the Vikings might look for a OL upgrade. I don’t think it would take much to upgrade Compton. It might all depend on how soon Elfein is back. His starts keep getting pushed back. TE's and fullbacks gouged us for to much yardage today. Zimmer still doesn’t have that fixed. Carlson had a good game today. Our punter had a 38.3 avg, with a long punt of 56 yards...4 punts inside the 20. Browns and Steelers tied which was a surprise for me. Now lets hope Mack bruises Erin up some tonight. Good: Cousins did a pretty good job under pressure and extending plays. No turnovers and was accurate for the most part. Cook looks back to his old self, making guys miss and doing well catching the ball. Thought Hughes played well for his first start especially since he had to play outside where he has not practiced all offseason. Hunter had a solid game as well. Carlson made all his kicks. Bad: Rush blocking in particular was poor. I lost count of the times a LB was able to shoot the gap for a TFL. Play calling was pretty vanilla. I was much more impressed with Shannahan being able to work with what little he had vs Flip who called a rather conservative game. Way too many coverage lapses for big gains. The offense, some bugs is going to be expected but our defense shouldn't be getting gashed by a guy like Kittle. Overall a great win but this one really could have gone either way. SF didn't play 2 LBs, lost their top WR, McKinnon, lost 2 guards and still came close. Especially if Morris didn't fumble, Kittle catches that wide open bomb, or they don't jump offsides. Things went the Vikings way today and they also created opportunities with turnovers so I'll definitely take it. But all aspects need to improve if they want to win in Lambeau. Hopefully Waynes is alright too. Yeah, I am trying to understand how that is happening. I thought maybe the Eagles just found something in the NFCC, but the 49ers also did the same today and I'm beginning to wonder what the Vikings are showing on film that opposing offensive coordinators might be picking up on. Actually, there was also a series of plays by the 49ers in the first half that were misdirection fakes where Jimmy G rolled one way and then tossed it to a guy who was wide open running away from where the rest of the 49er offensive was moving. It was crazy. It was like 3 plays in a row where the 49ers ran essentially the same play until the Vikings showed they could defend it, and it picked up big chunks of yardage because the offensive player running in the opposite direction was wide open every time. Eventually the Vikings fixed it, but I was surprised at how willing Shanahan was to run that same play over and over until the Vikings finally defended it. It makes me wonder if the Vikings defense is just playing a rigid scheme and not reading and reacting better to what the offense is actually doing. The Vikings have the athletes and experience on defense to stop a team like the 49ers from getting TE's and RBs wide open so far down the field. It just shouldn't be happening. When the Eagles did I I thought well, the Eagles are pretty good offensively and Foles was having the game of his life, plus I thought maybe the Vikings were gambling to try to get back into the game. The 49ers are decent on offense, but this was a home game for the Vikings and the Vikings were ahead most of the game. They didn't need to gamble to create splash plays to get back into the game. So the coverage issues appear to be more basic. Something in the scheme, or the way the players understand their assignments, is causing situations where one offensive player appears to be completely unaccounted for, and it appears the primary beneficiaries of whatever is going on are the TE or RB of the opposing offense. Maybe Zimmer is trading off something and thinks giving up the occasional big play is acceptable collateral damage. I don't think I agree with that, but I'd rather see the Vikings just defend everything and read/react as needed. Cousins is the closest thing to Aaron Rodgers this franchise will ever see. The way this kid can throw the ball from any angle and pretty accurate with it too. The new Aaron Rodgers rule about driving the QB is going to make me insane. Rodgers just got a knee injury from one of his OL being driven back into him. Will they come out with a new rule that DL are no longer allowed to push OL backwards? A few more thoughts after watching the condensed game. For those complaining about the run game. The Vikings ran for 116 yds today. They averaged 117.9 yd/game last year. I thought Cook looked ok rushing but I thought he was impatient on a bunch of runs. I think there were a few cutback lanes he could've taken advantage of if he let the play develop. Murray ran well. I thought Cousins had time for the most part. He held the ball too long on one sack. Couple of other sacks came on blitzes. Few other pressures but he did have a pocket to throw from. Thought they didn't run many PA plays but they did a bunch today. Rewatching the game, the Vikings had control of this game for the majority of the time. 24 -6 with 3 minutes in the 3rd. Gave up the TD after great pressure and that was it for SF. Hughes played well but did give up a couple of big plays. Can't fault him too much as he had to move outside. I thought he was a difference maker today. The pick 6 and also the break up in the endzone That's 14 points right there. If the Vikings picked a DB in the 2nd round as Yikes suggests, I believe they keep Newman and he would've been playing a lot today. Hope Waynes is ok. Looks like he may have hurt his shoulder with the pass breakup in the endzone. Big reason SF hung around IMO. Richardson lived up to the hype today. That is Shanahan's bread and butter. It was his father's bread and butter too. And once you adjust they'll run it straight up the gut like they did a few times with Morris to great effect. A few spots where we were good. Sheldon Richardson. A disruptive force the entire game. It's amazing to me how much better he makes the entire line. Danielle Hunter. It is obvious this guy is taking his game to another level. He did a lot of great things today, but to me the one that most brightly highlighted his immense skills was the TFL early in the game on Matt Brieda. This is a 4.38 guy, and Hunter closed ground easily and took him down for a loss. 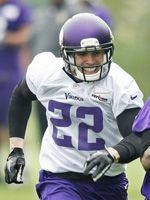 Harrison Smith. What can you say about Hitman? He's everywhere, doing everything. How about the play on the goal-line stand where he took on the 300-pound DT playing fullback and still made the TFL? Just an unbelievable football player. The O-line. Given the injuries, given the fact that our biggest weakness (interior line) was also S.F. 's strength (inside pass rush), the O-line did a serviceable job. Will it suffice against a great defense? No, probably not. But until Elflein is back, it's what we have, and they did OK. The passing game for 3 quarters. Cousins was sharp. Thielen and Diggs were their usual selves. Cook was a beast out of the backfield. We had a minor Laquon Treadwell sighting. Kicking game. Carlson was solid on placekicks, and he also had a touchback on every kickoff. Of course, so did their guy. Where we weren't as good. Covering the middle of the field. Don't know what's going on here, but Zimm needs to do something about this. Way too many easy chunk plays to tight ends and fullbacks. I'm hoping this was the result of sending a lot of pressure at a young Jimmy Garoppolo. The O-line. They did well given the circumstances, but they can't allow so much pressure up the middle. Also, we finished with 116 yards on the ground, but we really weren't strong in the running game. Tom Compton. He had a nice block on a screen to Cook. Beyond that ... ew. Punting. Wile got off to a good start on his first couple of punts, but then ... wow. Drops. We uncharacteristically had four drops today, and all of them were on relatively easy catches. Even Thielen had a drop on an easy catch. Conservative with the lead. An 18-point lead is good. But going into the four-corners on offense with an 18-point lead isn't. A 28-point lead? Sure. But 24-6 in the third is not a big enough lead to start milking clock. All in all, a good win. But we've got to clear up some of our defensive lapses before we head up to Lambeau. Assuming Aaron Rodgers plays, he'll kill us if we leave parts of the field wide open. This win had a very "early 2016" feel to it. If Hughes doesn't get the Pick 6, that game is a 17-16 win. Very much in the margin. As we saw in 2016, return scores will not sustain us through the next 15 games. I saw two major questions that form the bedrock of my take. 1.) This is week one, we are not seeing the team at it's peak ability. (This is true for all NFL teams.) 2.) Is that 49ers team an up and comer or are we stepping backwards? For item one, the question is how high can we go? For number two it is more about where are we at? We needed to win this game and we did, but it wasn't a slam dunk. Was that because we played a good, up and coming team, or was it because we are not as good as last year? I will say that the 49ers looked far more crisp than the Bears or Packers. Those two clubs were sloppy last night, no one more so than the Bears back 7 and coaching staff. On the OL. It is obviously the weak spot, but a few points need to be made: First, the SF Defense's strength going into this game was pressure up the middle, our protection's weakness. So the fact that we struggled should be expected. Also, we are seeing a patchwork unit that hasn't had time to play together. I suspect this will continue for a few weeks and then something will happen when/if Elfliein returns. Can they get better? I think so, can they get a lot better? Not sure. Of all the issues, this is the most aggravating. On the Defense: When Waynes went down thing got ugly. We had to start rookies and the 49ers were able to exploit it. This brings secondary depth into question . Again. it is week 1, so how much of this is fixable? Do we get Waynes back? Other concerns: OC needs to step up his game. The three 3 and outs in the 2nd half nearly cost us the game. He can't do that again. It didn't feel like the Offense was adjusting as well as it did last season. That needs to get cleaned up. It also felt like DeFillipo maybe wasn't quite as familiar what the team can do and does well as maybe he should have been? A few examples: Why didn't we see more of Latvius when we needed (or should have wanted to burn the clock? There was another moment where we could have run on 3rd down and forced SF to burn their timeout, but instead we threw it going for the first down and it dropped incomplete. We gave them like 35 seconds AND let them keep a time out. Running would have guaranteed we take away a resource, buy forcing them to burn the time out or lose 35 seconds. The second half reminded me a bit of the Frasier era where the offensive ineptitude would keep giving the other team chances and eventually the defense would tire. We were lucky we had the INT TD to give us a cushion this week, we won't have that luxury going forward. I suspect Zimmer will talk to DeFelippo about this and remind him that he needs to play to this strength of this club. Burning clock when this team has a 2 score lead is LETHAL. I felt that the OC's game yesterday was probably the most surprising issue and perhaps the most concerning. I'm going to give the benefit of the doubt since it is week one, but if they play like this against a better offense they will lose. I have to bring this up, Chicago illustrated the same 2nd half coaching inadequacies quite spectacularly last night. The had the ball deep in GB territory, 3rd and 1 and they pass it with 2:40 to go. Drops incomplete, they kick a field goal and 26 seconds later Rogers beats them. Honestly, I LOL-ed. That headcoach has better be kicking himself this AM. Their running game was owning GB on that drive. Run the FREAKING BALL! If you don't convert you eat the 2 minute warning and still kick the field goal. Heck, you could run it again on 4th down, if you can get 18 inches and get that first down the game is OVER. STUPID! As a side note, that game also showed that while Chicago's pass rush in amazing, their back seven is quite pedestrian. The tackling and coverage yesterday was embarrassing. I watched all of Kirk's Redskins games and I would say this game is a typical Cousins performance. It wasn't a good game for him or a poor one but it did vary from his typical Redskins game in that he was able to take his foot off the gas. The Skins had a good day running yesterday and the defense played well also but that was not the norm during Kirk's 3 years as a starter. Kirk and his receivers had to really carry the team to keep games competitive and have any chance of winning so he threw it more and for more yards typically in a Redskin game usually but the quality of the performance you saw yesterday is average for him. He made some beautiful throws and made the plays he needed and missed a few. I think more will be required from Kirk and the rest of the team to win in Green Bay but for the first time in his pro career, Kirk has a running game and a defense to help carry the load. He had some decent receivers in DC but the combo in Minnesota is better also. So Kirk never had anything like the team around him when he competed with Green Bay. 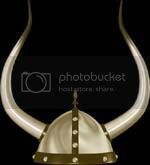 I am looking forward to the game and a Vikings victory! I agree. Offense tried to go conservative too early yesterday, then, when it made sense to stay conservative, they got aggressive and it could have cost them. Plus, the offense got bailed out by the lack of discipline on the part of the 49er defensive lineman who jumped offsides on that 4th-and-short. Can't forget that either, because without that the 49ers get the ball back with a lot more time. Another coaching question mark for me from yesterday is the defensive secondary calls. People are lauding Harrison Smith for a great game, and while he did some great things, I think he blew it on the broken play that the 49ers scored their only TD on. He had coverage on the WR coming across the field, but then failed to recognize and react when the WR broke off his route and headed up the field. Granted, it looked like Jimmy G was toast on that play, but Harrison got burned similarly by Foles and the Eagles in the NFCC, where it looked like he assumed a play was over that was not yet over and allowed the receiver to break deep on him. As a safety, he can't do that. His primary concern has to be preventing passes from getting over the top of him. On that play, Rhodes also released his man deep, likely for the same reason. His WR had also beaten him into the endzone, but not as badly as the WR Smith should have been covering. And that was just the broken play where the 49ers scored. There were numerous other plays that weren't broken plays where the 49ers managed to get guys wide open down the field, often on deep routes where one would expect safety help to be there. So something is going on in that defensive backfield that needs to be looked at and corrected IMHO. Maybe it was injuries. That is always possible, but from what saw both last year and now in this first game, it appears there is a lack of recognition and maybe some assumptions being made about what is happening in the offensive backfield that is leading to broken coverages and resultant big plays. I hope Zimmer can get that tightened up. I can see them giving up 1 or 2 big passing plays per game. Even the best defenses do that at this level. But not like yesterday, and not like the NFCC (and, to think of it, not like the second half of the playoff game against the Saints, either). Too many big passing plays that are essentially uncontested. Oh just remembered about the missed opportunity at the end of the first half. Another example of poor play calling and clock management IMO. They should've ended the half with a FG try. Zimmer made some comments about Shanahan changing things up frequently. It could be that some of the defensive issues were the alignments being less advantageous to what SF was running on a given down. I can't prove this, but some of those big plays are likely a result of the Vikings going against one of the best play callers in the NFL. Still, I think the general point is correct. We've got stuff to clean up. Not a surprise given it is week 1.